Arguably, Hyukoh has become one of the best and most successful rock bands in Asia. The band is a prolific four-man rock band from South Korea currently associated with DRDRamc Management Company. The group was formed in 2014 and it rose to prominence in 2015 following their outstanding performance at the Korean variety show, Infinite Challenge. Their first EP titled 20 was released in September 2014 and it garnered positive ratings from critics and rock and roll lovers. After their performance at the Infinite Challenge in 2015, they went on to release their second EP titled 22 which also racked up critical acclaim and even reached top ten on the Billboard World Albums Chart two months after its release. Since then, they have continued to captivate the hearts of their many fans with their soul touching tracks and musical albums. Owing to their international fame and unique musical style, the group has become even more popular after landing a spot on the list of performing acts at the 2019 Coachella Valley Music and Arts Festival in California, United States. Guess you want to know more about this outstanding rock band? Read on to learn more about Hyukoh, its members, formation, and other interesting facts below. Although Hyukoh has become a popular rock band recognized worldwide; the band was first started as a solo project by the band’s frontman Oh Hyuk. Hyuk is a South Korean native, born on the 5th of October 1993. His family moved to China when he was five months old and there, he spent most of his formative years and part of his teenage years, before returning to South Korea to further his studies in 2012. Upon arrival in South Korea, he enrolled at Hongik University where he pursued a career in Fine Arts. Having developed a keen interest in rock music right from an early stage, this passion led Hyuk to take a leave of absence from the university in order to focus on his music career. Today, his effort has paid off and he is now among the most popular rock musicians in South Korea and beyond. The band’s frontman Hyuk adopted the name ‘Hyukoh’ which is a combination of his first and last name. With this name, he embarked on a solo career, performing at different shows and venues in Seoul. After a while, he felt the need to perform with a band and that was how his solo project was converted into a rock band. He recruited three other members including Lim Hyun-Jae (guitarist), Im Dong-geon (bassist), and Lee In-woo (drummer). Starting their career in 2014, the group released its first EP titled 20 which was inspired by their age at the time. The EP was very much successful and it garnered the attention of several record labels and sponsors. Following their massive success locally, they also signed up with the DRDRamc management company. 2015 was the year Hyukoh rose to the mainstream, following the release of their second EP titled 22. Their single Comes and Goes from the album topped several music charts in Korea and beyond. They also participated in the popular Korean variety show Infinite Challenge where they put up an impressive performance; hence winning the hearts of many soft rock music lovers. The following year, they were invited to represent Korean Indie bands at the Strawberry Music Festival held in China. They also featured at the Summer Sonic Festival held in Japan later that year. In 2017, the group released their first studio album entitled 23. The album was launched in April 2017 and it peaked at No. 6 on Billboard’s World Albums Chart. They also released another Extended Play (EP) 24 in May 2018 and embarked on their first world tour in the same year. Following a steady rise in their popularity, Hyukoh was chosen to perform at the 2019 Coachella Valley Music and Arts Festival; joining the lineup of other rock bands including Hop Along and Hurray For The Riff Raff who are also performing at the festival. 1. Although the rock band has released several singles and EPs; it was their song 2015 song Comes and Goes that brought them into the limelight. 2. Since their inception in 2014, Hyukoh has released eight musical videos. They include videos of their songs Hooka, Gondry, Leather Jacket, Tomboy, Panda Bear, Wanli, Comes and Goes, and Wi Ing Wi Ing. 3. Hyuk has cited two other bands – ‘The Beatles’ and ‘The Whitest Boy Alive’ as their major influences. 4. One of their songs Citizen Kane was featured on Apple Inc. advert for iPhone X in June 2018. 5. The group has been involved in lots of controversies mainly about song plagiarism; however, they have outrightly refuted the claims. 6. 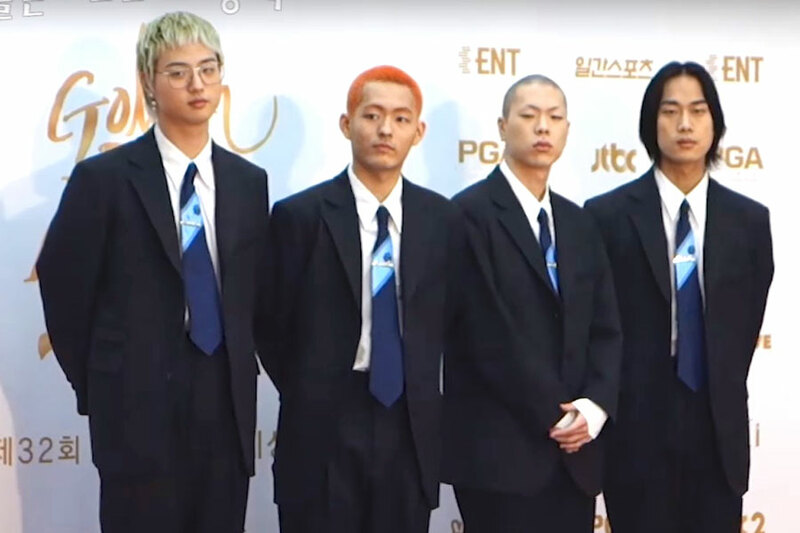 The rock group, Hyukoh, has won several awards some of which include Performance Culture Award at 2016’s Seoul Music Awards, Best Modern Rock Album at 2018’s Korean Music Awards, and Best Rock Band Award at 2018’s Golden Disk Awards, among others.